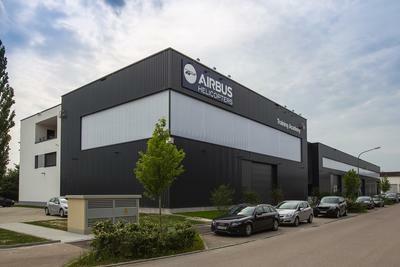 The American Helicopter Society (AHS) International today awarded its annual recognition for helicopter technology improvement to Eurocopter's team that developed its X3 hybrid demonstrator aircraft, which Eurocopter announced will be presented to both civil and military customers during a United States tour this summer. Presented at AHS' 68th Annual Forum in Fort Worth, Texas, the society's prestigious Howard Hughes award acknowledged Eurocopter's successful validation of its helicopter hybrid concept, which uses two turboshaft engines to power a main rotor along with two propellers installed on the tip of short-span fixed wings. The result is an advanced, cost effective, VTOL transportation system offering the speed of a turboprop-powered aircraft and the full flight capabilities of a helicopter. 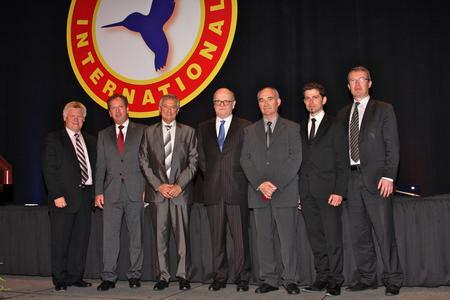 Accepting the American Helicopter Society International's Howard Hughes award for helicopter technology improvement was Jean-Jacques Ferrier, the company's Innovation Vice President, and his team who joined Eurocopter President & CEO Bertling at the event. With the X3 demonstrator aircraft confirming - and exceeding - Eurocopter's expectations during flight tests performed since 2010, the company is now pursuing applications for the hybrid concept, ranging from long-distance search and rescue (SAR), coast guard, border patrol and special forces operations to inter-city passenger shuttle services, and offshore oil and gas transportation..
"The American Helicopter Society's award is a true recognition of the men and women who are making Eurocopter's vision for our industry's future a reality today," said Eurocopter President & CEO Lutz Bertling. "It also provides a highly appropriate opportunity for Eurocopter to formally announce our all-American tour with the X3 beginning next month, which will enable both the U.S. military and civil operators the opportunity to see - and fly - this truly remarkable aircraft." During its upcoming tour, Eurocopter's X3 will make several stopovers at U.S. locations, including the Grand Prairie, Texas headquarters of American Eurocopter. "It is important for Eurocopter to provide a first-hand experience for future potential U.S. users with our hybrid helicopter concept, which opens exciting new horizons in operations by delivering cruise speeds 50 percent faster than standard helicopters at very affordable costs allowing for significant increases in mission productivity," Bertling added. Eurocopter foresees many applications for the hybrid helicopter concept in the U.S. market, where its rotary-wing aircraft innovation has made the company a major supplier for the commercial sector, to law enforcement agencies, emergency medical airlift service providers, and government users such as the U.S. Army, Coast Guard, Navy, U.S. Customs and Border Protection, U.S. Drug Enforcement Agency and FBI. During X3 flight testing performed to date, the demonstrator aircraft surpassed its original speed target of 220 kts., reaching 232 kts. using less than 80 percent of the available power. Additionally, the X3 exhibited excellent flight qualities, maneuverability, outstanding acceleration and deceleration capabilities, exceptional climb and descent rates as well as very low vibration levels - all without any need for passive or active anti-vibration systems. 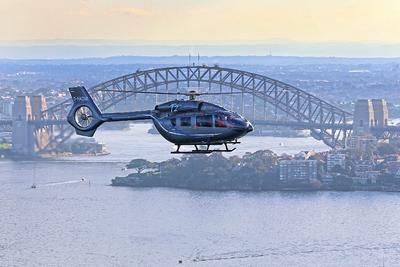 The X3 is a five-ton class helicopter, offering a cabin size for up to 11 passenger seats. The American Helicopter Society (AHS) International is the world's oldest and largest technical society dedicated to enhancing the understanding of vertical flight technology. Since its founding in 1943, the society has been a primary forum for the exchange of information on vertical flight technology.